Girls – Everything is Oll Korrect! 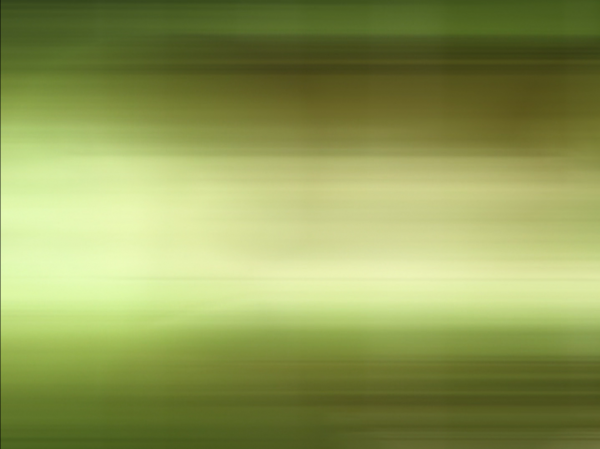 Let’s continue to the next episode of serial experiments lain. Layer 02: Girls begins with another invitation from a voice-over on the Tokyo cityscape, “What is it you’re so afraid of? Why don’t you take a chance some time?” We’re then introduced to the Cyberia night club, where we see a guy buying and taking a drug called Accela, about which we get our first infodump later in the episode, as well as our first glimpse of Lain of the Wired. Alice and her friends see this alternate Lain and ask the real-world Lain if it was her, but she has no idea what they’re talking about. Alice, friendly girl that she is, invites Lain to join them at Cyberia that night, which takes some prodding. We also see one of the men in black for the first time. 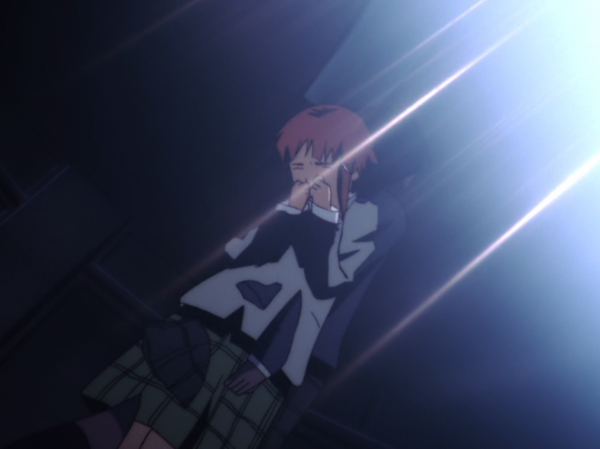 Lain’s new Navi is delivered, and she asks her father to set it up right away. 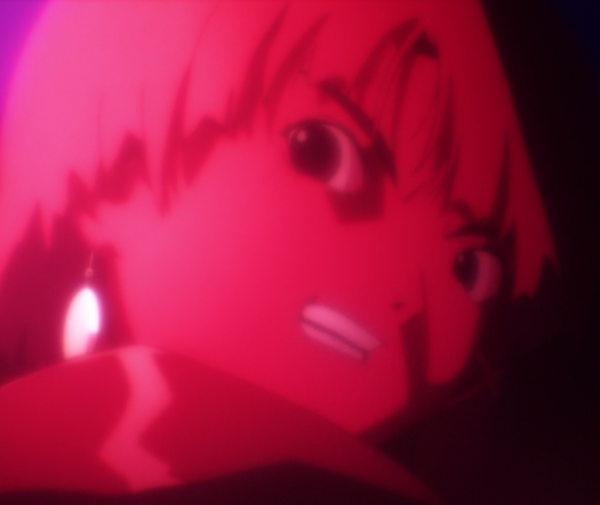 At Cyberia, the Accela addict shoots up the place, but Lain confronts him and he kills himself. Layer 01 was all about setting a mood, but Layer 02 is more traditional in its storytelling. The exception is a scene of shadowy figures walking through the school hallways. 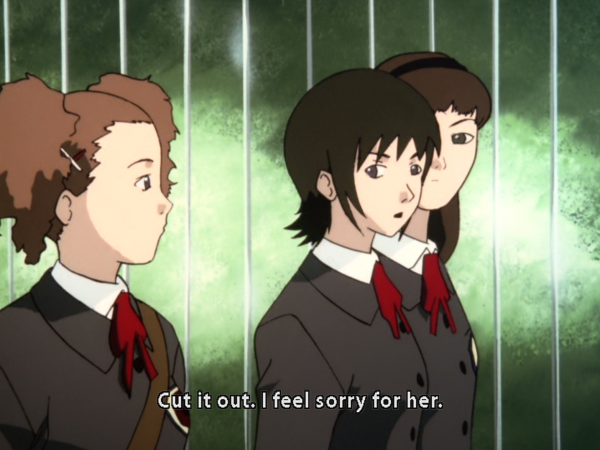 One nice touch about this scene is that Lain not only sees them, but when one of them passes through her, it moves her clothes slightly, showing us that they aren’t mere hallucinations but do have some substance. One criticism I’ve seen of lain is that much of the plot is held until the last several episodes, but as we can see here that isn’t really the case. We already have our first indication of a god of the Wired, of Lain’s split personality, and an indication of her future development in the “everyone’s connected” line. Keep in mind that Lain hasn’t actually been on the Wired much, aside from checking for e-mails from Chisa, so this must have been a flash of inspiration from somewhere else, presumably some connection to the Lain of the Wired. (As an aside, Lain seems to have a few alter egos, so I’ll typically use “Lain of the Wired” as a shorthand for these alternate Lains; the scripts in scenario experiments lain use three different forms of her name, in kanji, katakana, and Roman characters, to differentiate them). 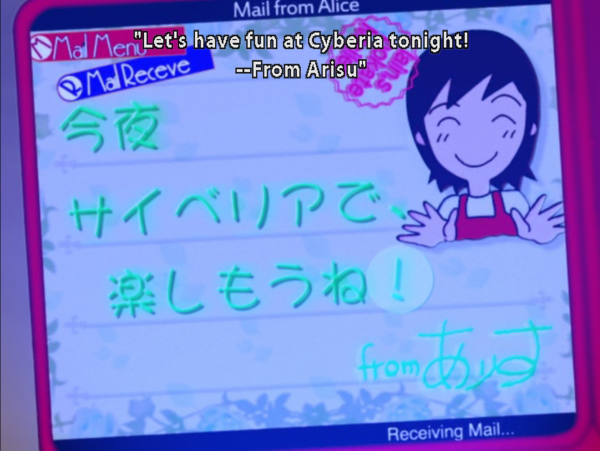 There’s some irony in Alice being the one to invite Lain into Cyberia. As we’ll see a few times throughout the series, Alice serves as an anchor to the real world for Lain, preventing her from becoming too obsessed with the Wired and its abstractions. In this case, just as Lain is getting started with her new Navi, Alice pulls her away from the entrance to the Wired by inviting her to act like a normal schoolgirl and hang out with friends from school. The Wired, though, is inescapable, and instead of keeping Lain in the real world she’s taken her into the digital underworld of Cyberia, where her still-hazy Wired self takes over. One other thing worth pointing out is that, when Alice’s crew first speak to Lain, there’s a fair amount of distance between them, and rather than simply panning from one character to another lain’s animators add a light effect, like we’re teleporting between them or something so it feels like they’re not only standing a few feet apart but are practically on different worlds. 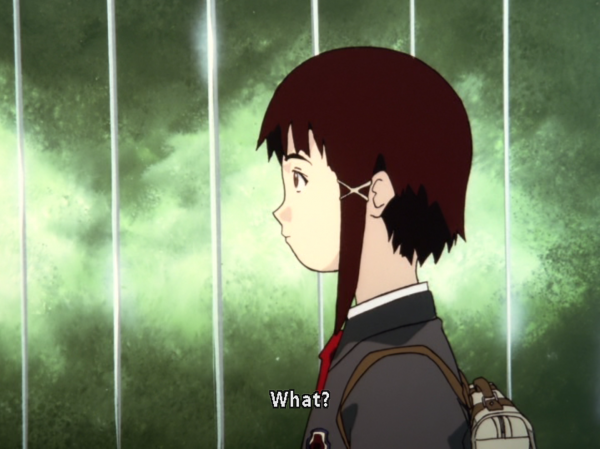 I think the distance is both social, since Lain appears to be a loner (keep in mind also that elsewhere, her sister Mika hears her talking in her room and accuses her of having an imaginary friend), and literal, that Lain is a different kind of being than everyone else, though this isn’t clear until later. Let’s set aside lain for a moment and talk about a related topic. Whenever one comes across a work of art, whether it’s a song, a poem, a movie, or in our case, an anime, it’s natural to want to know who made it and find out what else they’ve done. So, who were some of the creative staff behind making serial experiments lain? The studio was Triangle Staff, but studio doesn’t necessarily tell us a lot since staff can change from one production to the next, and relatively few studios have a “house style,” so to speak. So, let’s talk about a few of the individual creators most associated with lain, director Nakamura Ryuutarou, writer Konaka Chiaki, producer Ueda Yasuyuki, and character designer ABe Yoshitoshi. Now, I won’t write about all of their work, since I haven’t seen it all and because much of that information can be easily found through a number of encyclopedia-style sites. Instead, I’ll focus on the works that have stuck out to me. The most similar project to lain was Texhnolyze, which ABe, Ueda, and Konaka all worked on (the director in this case was Hamasaki Hiroshi). I’ve had this recommended to me by several people whose opinions I trust, but it’s one of those shows where you’ll either love it or hate it. The main selling points are the strong aesthetic, characters, and the story once it gets going after a few episodes and before the rather lame ultimate villain shows up. Basically, the dystopian gang war was good, and I enjoyed perhaps 2/3 of the episodes. Its failing point, beside the antagonist, is that the pacing is slow – and I mean extremely slow, especially in the first couple episodes. 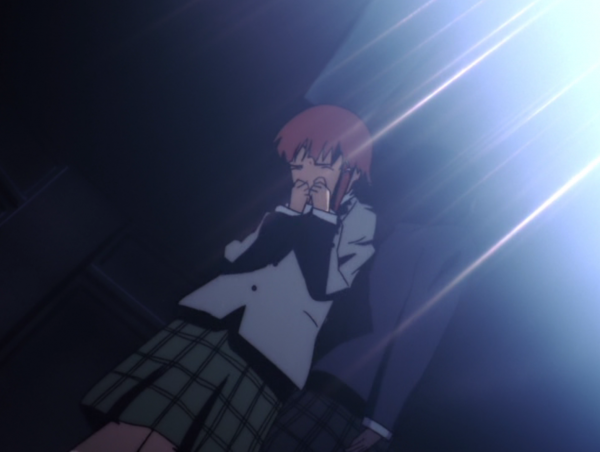 Imagine lain’s first episode,but with only Lain’s visions – remove every scene with dialogue. 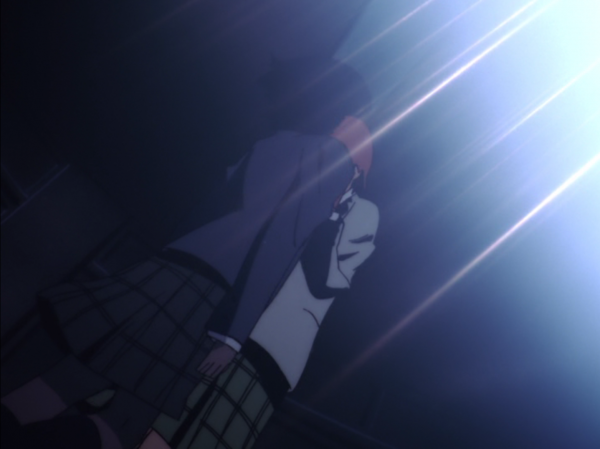 It’s like Konaka and Hamasaki latched onto something unique that worked with lain, but took it beyond the breaking point. Regardless, it does have some interesting things going on, and if you enjoy lain there’s enough chance that you’ll enjoy this, too, that it’s worth checking out. Just remember that it’ll be a good six episodes or so before you really get a feel for the direction the show’s going. Next up is Haibane Renmei, based on a doujinshi by ABe and produced by Ueda. 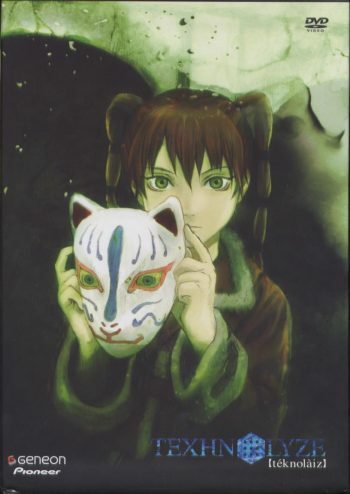 At first glance, once one gets past the fairly intense opening, the pastoral setting and story make this look more like Aria than lain, but the easygoing first half is there primarily to get the audience invested in these characters once it takes a darker, more serious turn in the second half. Many people have read Christian themes into its take on sin and redemption, and when ABe and Ueda came to Dallas for AnimeFest back in 2006 someone asked them about that at a panel. To paraphrase, ABe answered that he drew most of the story’s themes on that subject from Buddhism, but also took inspiration from a number of other traditions. I don’t recall whether he said anything about Christianity in particular, but it’s Haibane’s treatment of these themes that make it so excellent, and one of the few anime I’d recommend even to people not otherwise into the medium. If you know someone open to watching anime but who hasn’t seen much beyond relatively mainstream stuff like Studio Ghibli movies, this would make a solid recommendation, and I’ll even say that it’s the best work here by a wide margin. Another anime ABe and Ueda collaborated on was Niea_7 (the underscore is pronounced “under,” by the way). This one’s a comedy about a poor student living with a low-class alien girl and, well, you either get it or you don’t. The show does have some good moments, but to put it mildly this one’s a mixed bag and I’d only recommend it to people particularly invested in this medium. Moving on to ABe’s printed work, as far as I’m aware not much is available in English, certainly not officially. We did get a digital-only release of one of his doujinshi, I am an Alien, I have a Question, of which I also have the Japanese edition. Like Niea_7 it has its moments and is worth checking out if you’re a fan, but can be safely skipped otherwise. I’ve also seen scanlations of his comic Ryuushika, Ryuushika, which is best described as Yotsuba&! but with ABe’s art style and quirkier sense of humour. I enjoyed it enough that I’ll probably buy at least a few volumes next time it’s convenient, but again, your mileage may vary. Oh, I also have Pochiyama at the Pharmacy, but the gap between my enthusiasm and my literacy is too great to get much out of it. This is also true for his contributions to Robot, an anthology of works by several different artists edited by Murata Range. We got the first six volumes in English, but not enough for me to really pass judgement on. Finally, he also did the cover illustration for Takimoto Tatsuhiko’s novel Welcome to the NHK!, which I’ve reviewed previously. Yeah, his only involvement was the illustration, but I mention it here because the novel is surprisingly good, so check it out. As for other anime, there are a few worth mentioning (again, limiting myself to things I’ve actually seen). Ghost Hound is an excellent show (well, for the first 4/5 or so) directed by Nakamura and written by Konaka. 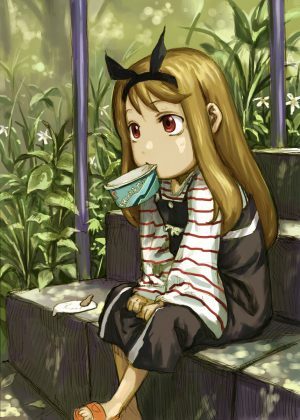 The last shows I’ll mention are Kino’s Journey, an atmospheric road trip story directed by Nakamura, and Mononoke, for which Konaka did the screenplay and which I’d describe as Mushi-shi but weirder. Like several of these, it’s not a show for everyone, but if you’re a fan of Mushi-shi and want something unique it’s well worth checking out. ABe also did the cover/interior illustrations for the original All You Need is Kill, which people might know later became Edge of Tomorrow. Unfortunately we don’t get to see the name Yoshitoshi ABe in the same credits sequence as Tom Cruise. One aspect of Cyberia that you touched on is that the rave/club scene is a very unique atmosphere in and of itself that is derived from both heavy technology presence and a mash of information/perception overload. It’s not surprising that our first real view of “Lain of the Wired” would come here or that it would be a very challenging place for normal common girl lain since even for normal girls and guys such clubs lead to all kinds of dangers.